What many will not know is that the Community Newsletter has been running for almost as long. 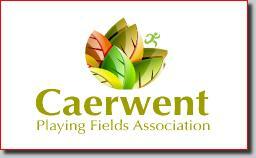 Many of the earlier editions of the newsletter are in the secure hands of the Caerwent Historic Trust. The newsletter has taken many forms over the years but it was decided that from January 2016 it would undertake a major overhaul. The old black & white version will be replaced by a new A4 sized colour production and will offer the opportunity for all community groups to submit articles for inclusion. The main contributors in the community are Caerwent Playing Fields Association, Caerwent Community Council, Caerwent Church, Caerwent Baptist Chapel, Caerwent Historic Trust and Caerwent Youth Club. or visit our contact page for other methods to contact us. We have many different ways to pay including cash, cheque, direct debit, PayPal(charges apply) and bank transfer. We hope in the future to make the newsletter available online.